Hello fellow foodies! 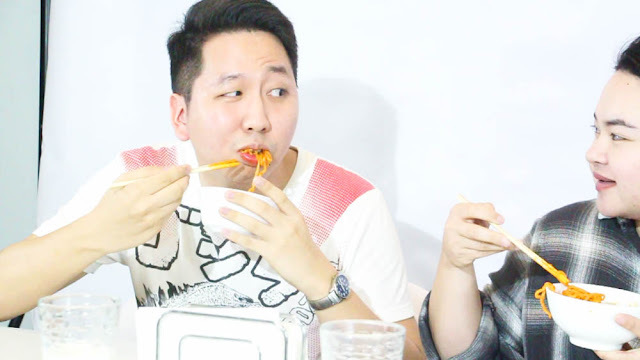 I know I'm a bit late posting about this food trend, but I'm sharing it anyway to share some insights regarding the noodles and to reveal something huge with you. The Cheese Samyang (the one in yellow) is set at a x1 spiciness. Due to my fondness of spicy dishes, I initially thought I would be able to bear this with ease, but I was wrong -- completely wrong. The heat builds up as you consume more of it, but at the same time, you'll be swayed by the immense flavors. I really loved the hint of cheese together with its sweet-bean-like taste. This one is no joke. The spiciness is indeed double of the Cheese Samyang. Just a few twirls will light your entire mouth on fire! The bitterness due to the spiciness is also overpowering. In short, this one is torture! Still after our first try, I craved for the Cheese Samyang a week after. This is why I felt really happy upon passing by the Korean store along Rada Street of Makati. The noodles are just priced at P65 each. 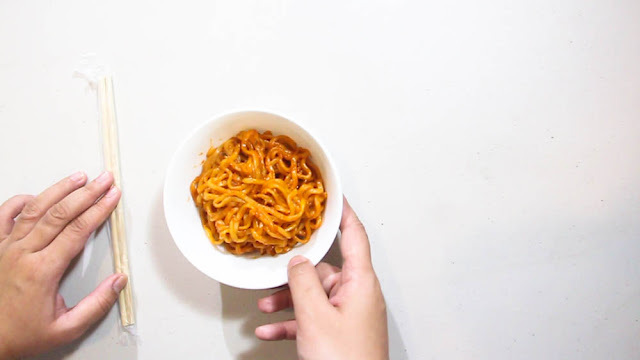 Plus, they recently release a new variant -- the Carbonara Samyang. I haven't tried it yet even at this time of writing, but I'll definitely let you know if it's as good. Now, this is supposed to be a big surprise, but I can't wait! My office mates and I are going to launch soon our group called Trulaloo. We are planning to bring quality entertainment for all the people with our humor (hopefully) and crazy ideas. Check out this teaser we made which features yours truly! 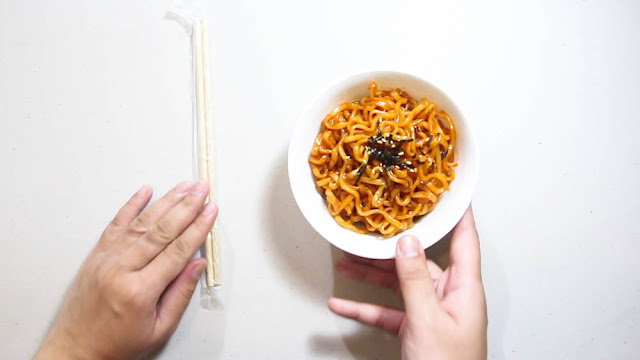 You'll have a hint of the "torture" I needed to bear while trying out the world-famous Korean Spicy Samyang Noodles! By the way, you can find us in Steemit, one of the platforms where you will be seeing us, aside from Youtube. Thank you very much for dropping by, and we are hoping for your support!